Review popular media devices, focused technology news, latest movies and TV Shows. There are a number of ways to find royalty-free music and import them to Camtasia Studio. But iTunes Music files are not included here. This guide will tell you how to convert iTunes Music to common audio supported by Camtasia Studio with iTunes Apple Music Converter. Then you can add iTunes Music to Camtasia Studio Video project freely. To save storage on your phone, you can transfer your downloaded Apple Music files to Dropbox. This is the best solution to upload Apple Music to your Dropbox using Tune4mac iTunes Apple Music Converter. It is impossible to transfer Apple Music to Windows Media Player directly for playback. This tutorial will introduce an easy way to convert Apple Music to Windows Media Player with iTunes Converter. Would you like to play Apple Music files on Huawei P20 freely? On one hand, you can directly install Apple Music app on your phone and sign in with Apple ID. On the other hand, you can transfer Apple Music to Huawei P20 by converting them to MP3 with iTunes Converter. Tune4Mac iTunes Converter can help you to convert Apple Music to plain MP3, AAC, WAV and FLAC. In this way, you can transfer the converted Apple Music files to Google Play Music via Google Chrome or Music manager. HomePod can play purchased iTunes music without Apple Music subscription via AirPlay. You can convert iTunes music with Tune4mac iTunes Converter and import the converted files to Apple Music for playback them with Siri. Are there any addons that allow Apple Music streaming in Kodi? Due to the DRM protection, Kodi does not support the add-on for Apple Music contents playback. But with Tune4Mac iTunes Converter, you can remove DRM and convert them to MP3, AAC, WAV supported by Kodi so that you can import those converted files to Kodi for playback. Tune4mac iTunes Apple Music Converter can help you remove DRM from downloaded Apple Music files and convert them to DRM-free MP3 so that you can make Apple Music songs as custom iPhone ringtone successfully. To play music from iTunes on Xperia XZ2, you can install Apple Music app on the phone. Besides, you can also convert iTunes music to MP3 easily and then transfer converted music files between your phone and a computer using USB drive. OnePlus 6 is an ideal android phone for iPhone users who want to switch iPhone to Android. For some Apple Music subscribers, you probably want to transfer the songs from Apple Music to OnePlus 6. Here you can use Tune4mac iTunes Apple Music Converter, which can remove DRM from Apple music and convert Apple Music to OnePlus 6 easily. How do I convert Audible files to mp3? With Tune4mac iTunes Apple Music Converter, you can convert Audible audiobooks to DRM-free MP3 without any quality loss. Then you can listen to your favorite audiobooks on any devices you like. How can I play Apple Music on my new Google Pixel 2? Don't worry, you can use Tune4mac iTunes Apple Music Converter. With it, you can convert Apple Music to MP3, WAV, FLAC and WAV. Then you can transfer the converted Apple Music to Google Pixel 2 at will. Can I convert audiobooks to MP3? How could I transfer audio book files to MP3 player? Don't worry, Tune4mac	iTunes Apple Music Converter is a professional audiobook converter for you. 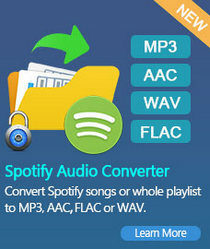 With it, you can convert iTunes and audible audio books to MP3 easily. Samsung unveiled the Galaxy S9 and S9 Plus at Mobile World Congress on Feb. 25, 2018. You can directly listen to Apple Music on your Samsung Galaxy S9 with Apple Music app installed. You can also transfer the converted Apple Music to your phone with Tune4mac	iTunes Apple Music Converter. How to play Apple Music in the background on Xbox One? Generally speaking, Apple Music are protected with DRM which prevent you from playing on any other non-Apple devices. Tune4mac iTunes Apple Music Converter can help you to convert Apple Music to MP3 and transfer them to Xbox One. Can I play Music from iTunes to my Amazon Echo? You can connect your phone or tablet and use it as a regular Bluetooth speaker. On the other hand, you can convert Apple Music to MP3 by using Tune4Mac iTunes Converter, then upload the converted music files to Amazon Music. Is it possible to move iTunes songs on USB drive? And the answer is yes. This tutorial is mainly to tell you how to copy and transfer Apple Music to USB drive by converting them to MP3, AAC with Tune4Mac iTunes Apple Music Converter. If you have subscribed Apple Music, you can listen to Apple Music that's stored on your mobile device (phone or tablet) or computer on Google Home using Bluetooth. After canceling subscription from Apple Music, you can also stream Apple Music to Google Home with Tune4mac iTunes Apple Music Converter. This article is mainly to discuss how to play Apple Music on Sonos from two situations in detail. If you have subscribed Apple Music, you can listen to Apple Music through Sonos directly. If not, you should convert Apple Music with Tune4mac iTunes Apple Music Converter and then add the converted Apple Music to Sonos. Chromebook doesn't support iTunes, so it is possible to upload your iTunes library to chromebook's Google Music. 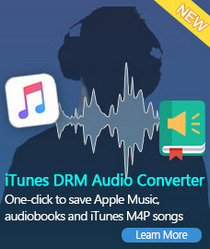 With Tune4Mac iTunes Apple Music Converter, you can remove DRM from iTunes songs and convert them to MP3, AAC or FLAC so that you can play all the iTunes music on Chromebook as you like. To play Apple Music files for playing on VLC player, you can convert Apple Music to unprotected MP3, AAC, WAV or FLAC and then transfer the converted Apple Music files to VLC player. Now you can enjoy the Apple Music files on VLC Media Player easily. Would you like to enjoy your Apple Music on Samsung Galaxy S8? If you transfer Apple Music to Galaxy S8 directly, you may fail. That's because Apple Music are protected by DRM. With Tune4Mac iTunes Apple Music Converter, you can removing DRM from Apple Music files by converting them to common MP3, AAC, WAV and FLAC, so taht you can move Apple Music to your Galaxy S8 successfully.